The Doteasy Email Protection service is compatible with all Doteasy web hosting plans. You can order it right from your Doteasy Member Zone. Log in to your Doteasy Member Zone. Scroll to the Email section and look for Spam & Email Virus Protection. click Add. On the order options page, check the Spam & Email Virus Protection service and click Next. On the order review page, confirm your payment details and then submit the order. The Doteasy Email Protection service will then be added to your account. *NOTE: The Doteasy Email Protection service is $6.95/month, billed on a 12-month billing term, but may be adjusted to match your existing hosting contract. Will there be any disruption to my email services? No, there will not be any disruption to your email services. When you order the Doteasy Email Protection service, we are simply adding The Doteasy Email Protection firewall address to your domain’s MX record. Once changes take effect, all new emails addressed to your domain email address(es) will first have to pass through the Doteasy Email Protection firewall. The firewall will scan these emails and then redirect all legitimate emails to your inbox. However, if the system detects spam or spam-like emails, these emails will not be sent to your inbox. Instead, these emails will be kept on your Doteasy Email Protection system and you will be notified of their existence. 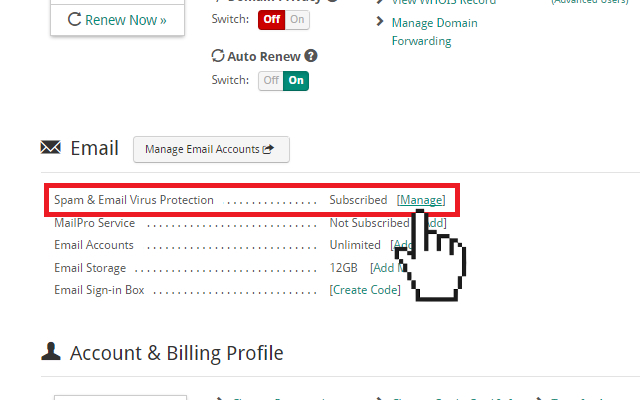 You can then login to your Doteasy Email Protection dashboard to manage them. 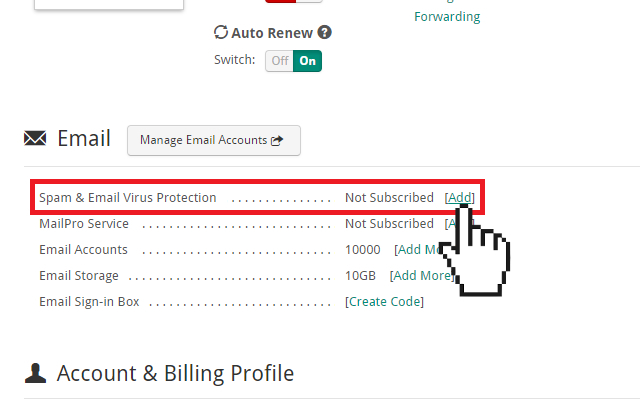 Once your new Doteasy Email Protection service has been activated, you will see the Subscribed status in your Doteasy Member Zone. Log in to your Doteasy Member Zone if you haven’t already done so. Scroll to the Email section and look for Spam & Email Virus Protection. click Manage. You will be redirected to your account’s Email Protection System dashboard. On the Email Protection System dashboard, you will find all the tools and functions available to help you manage your spam filters and rules as well as quarantine reports and much more.